Bleacher Report has named their “50 College Stadiums, Campuses, and Shrines to See Before You Die”. 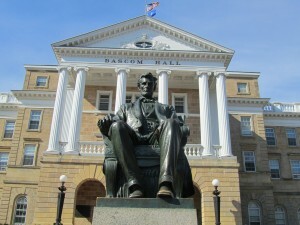 University of Wisconsin Campus comes in at number 32. Other Big Ten sites include Ohio State’s The Shoe, The Pink Locker Room inside Iowa’s Kinnick Stadium, University of Michigan’s Big House, Penn State’s Beaver Stadium, and University of Nebraska’s Memorial Stadium.